Planning is a crucial part of a worry free future for you and your loved ones. Preparing for your future today, will allow you to enjoy your later years with the knowledge that you have your affairs in order and that a plan is in place for your loved ones. Retaining an experienced lawyer is important to ensuring that such a plan is consistent with your goals. 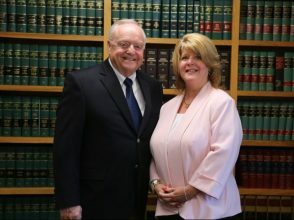 Our Hartford, Connecticut estate planning and probate attorneys pride themselves on helping clients to meet such goals. Specifically, our firm prides itself on providing the highest level of service and will bring a personalized approach to your situation. Contact our office today to schedule an initial consultation. We also assist those in New Britain, Wethersfield, and Glastonbury, as well as Rocky Hill, and elsewhere in the state. Our attorneys understand that life is complex and that no two situations are the same. These complexities require an individualized approach when it comes to developing an estate plan, drafting a last will and testament, or handling the probate of an estate. Our lawyers have over seventy-five years of combined experience and they make client service a priority. This includes quickly responding to your messages, promptly replying to emails, and making sure that they are available to answer any questions you may have. They will use your initial consultation to gain an understanding of your situation, to help you understand what you should expect from the process, and to put a plan in place to move your case forward. We focus on such areas of law so that you may focus on the most important things – your family and your future. Contact us today. We will work to handle your matter in an efficient and cost effective way. This may include creating a living trust so that your heirs may be able to skip the probate process when the time comes. Whatever your situation, our counsel will take a team-based and collaborative approach in making sure that your needs are met. In addition to Hartford, we also service the Connecticut areas of Wethersfield, New Britain, Bristol, Rocky Hill, West Hartford, East Hartford, Glastonbury, and Manchester, as well as the Middlesex County cities of Middletown and Cromwell. Our office recognizes that the law touches people in many different ways. This is why we handle personal injury cases involving auto accidents, trucking accidents, and more. We are a member of the Multi-Million Dollar Advocates Forum and have recovered seven figure awards for our clients. We have the resources and experience necessary to deal with the largest of defendants. Our Hartford lawyers also assist with many different aspects of real estate law and we are available to both buyers and sellers. Regardless of your situation, we are here to help. We look forward to speaking with you.